The new cpjobs.com Busking Carnival provides an exciting platform for college student to realise their musical dreams. For those who dare to dream big, “cpjobs.com Busking Carnival”, the inaugural college busking competition organised by cpjobs.com, presents a superb opportunity to hit the stage and show off their musical talent. The qualifiers will be invited to compete in the finals concert for prize money and return tickets. There are many ways to build a successful career, but none holds more appeal for graduates than the one which promises the most, namely, making their dreams come true. For millennials, life means so much more than self-sacrifice and security. An amazing journey inspired by the pursuit of dreams is the ultimate goal. To encourage local college students to realise their true potential, cpjobs.com, the digital recruitment platform of the South China Morning Post, is launching the college competition “cpjobs.com Busking Carnival”, setting up a concert platform where the city’s young folks can busk with great panache, expressing their true selves. “Hopefully the concerted effort of the partnership will sow the seeds of self-realisation among the students so that in the future they won’t be deterred from following the path of their dreams and fighting hard for it,” says Ho. 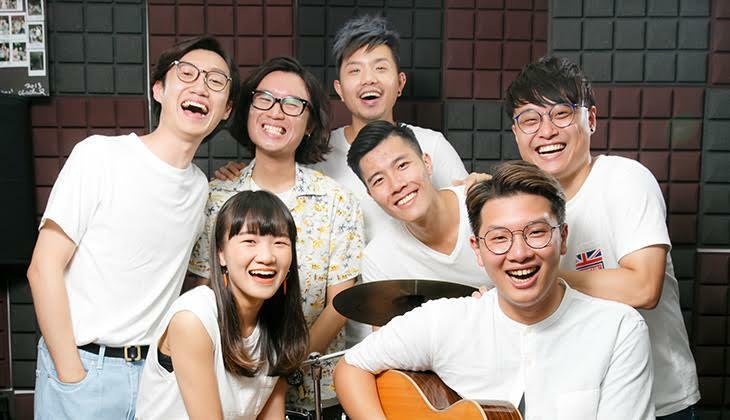 A graduate of the University of Hong Kong, Lee Kwun-kit – more commonly known as JL – formed the local music brand JLMusic six years ago with fellow music lovers. The brand is now widely considered a trailblazer on the local busking scene, bringing the power of street music to the city’s public spaces. JLMusic now has a remarkable list of artists of different styles and genres under contract, and holds regular gigs with over 30 street bands on a busking platform called CITY ECHO in an effort to promote street performances in Hong Kong. Every Friday night, JL leads a group of musicians to play gigs outside Times Square. Their ever-growing reputation led to the emergence of the “Down-2-Earth Fest”, a four-gig extravaganza of live music given on consecutive Fridays in June, which turned out to be a critical success. A group of experienced buskers spearheaded by JL is coming to schools and is all set for jamming with campus musicians. The event organisers promise that this much-anticipated meet-up will be exciting, enlightening, confidence-boosting for all the students involved, and will certainly get their creative juices flowing.